Celtics need to weather the storm - "The world ain't all sunshine & rainbows"
Outside of losing Gordon Hayward to a fractured ankle minutes into the 2017-18 season, the Celtics have endured relatively few bumps this year. After an 0-2 start, Boston won 34 of its next 42 games, highlighted by a 16-game winning streak in which the Celtics routinely rallied from double-digit deficits. 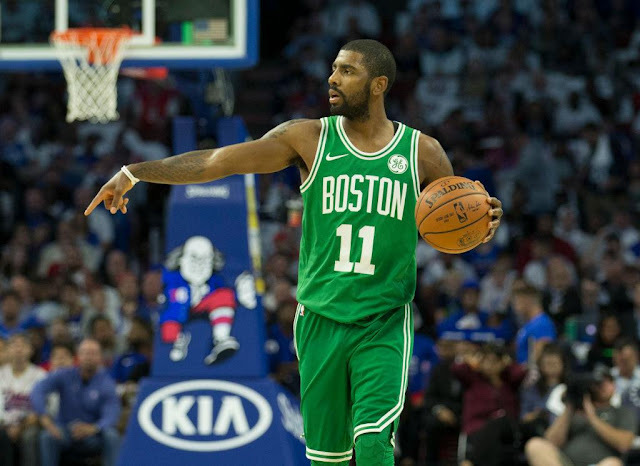 But after another titillating come-from-behind win against the Sixers in London earlier this month, Boston returned home and dropped three straight games to the Pelicans, Sixers, and Magic. Boston was one of just five teams in the NBA entering Sunday's action that hadn't endured a three-game losing streak this season. When things go wrong, getting back to basics is usually a good idea. A complete, 48-minute effort on offense, defense, rebounding and team play is needed. As Kyrie stated, per NBA's Taylor Snow, "You've gotta hit some adversity." And when you get hit, as Rocky said, you have to "...keep moving forward, that's how winning is done". I agree with all of it. This losing streak was needed. It is a wake-up call for the team. Time to get up, move forward and hit back.